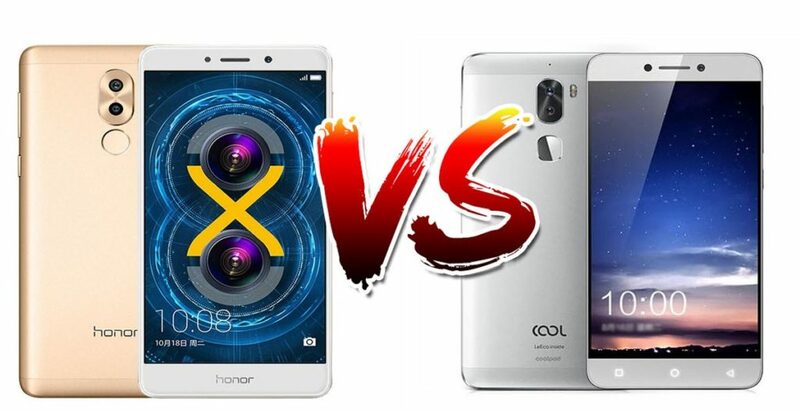 Honor 6X vs Coolpad Cool 1 vs Lenovo P2 specifications ,Release Date ,Price ,features ,camera ,screen size ,fingerprint ,RAM ,Battery and price comparison ,Best dual rear cameras and fingerprint budget smartphone 2017 with 3GB/4GB RAM 32GB/64GB internal storage price in under at Rs.14000 to 20000 in India which is better for buy. 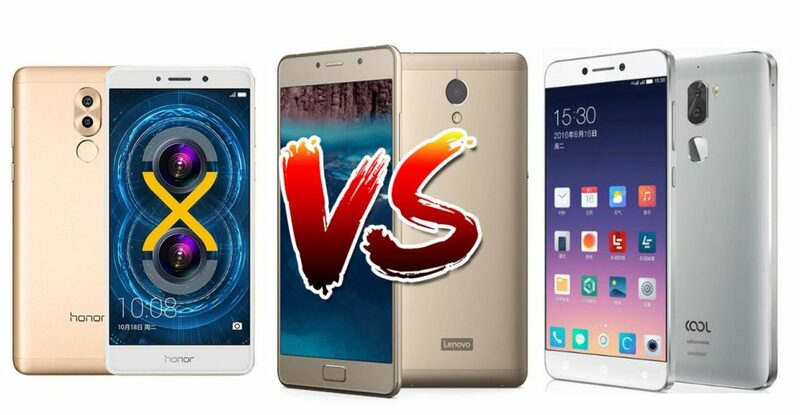 How both different from each others comparison between Lenovo P2 4GB RAM with Coolpad Cool Dual Cameras 4GB RAM phone with Honor 6X dual cameras 4GB RAM 64GB storage before buy you should must compare specs and price in USA ,UK ,China and India. Build Made of full metal unibody design. Made of full metal aluminum alloy unibody design Made of full metal unibody design. Display 5.5-inch (1920 x 1080 pixels) Full HD Super AMOLED display, 100% NTSC color gamut 401 ppi. 5.5-inch (1080 x 1920 pixels) Full HD 2.5D curved glass IPS display, 403 ppi. 5.5-inch (1920 x 1080 pixels) Full HD IPS in-cell display with 450nits brightness, 72% NTSC color gamut, 401 ppi. Protection Fingerprint Sensor for protection. Fingerprint Sensor for protection. Fingerprint sensor for protection. Camera Rear 13MP rear camera with dual-tone LED flash, PDAF, f/2.0 aperture, 4K video recording. Dual cameras 12MP +2MP rear camera with LED Flash, 6P lens, 1.25um pixel size, PDAF, aperture F/0.95-F/16,1080P. 13MP dual rear cameras with dual-tone LED flash, f/2.0 aperture, PDAF, 4K video recording, 720p slow motion at 120fps. Camera Front 5MP front-facing camera, f/2.2 aperture. 8MP front-facing camera. 8MP front camera with f/2.2 aperture, 80-degree wide-angle lens. SIM Hybrid Dual SIM (nano+nano/microSD) Hybrid Dual SIM (nano + nano/microSD) 4G LTE VoLTE Dual SIM (nano + nano). Processor 64-bit, 2GHz Octa-Core Snapdragon 625 14nm. 64-bit, Huawei Kirin 655, Octa-Core (4×2.1 GHz+4×1.7 GHz). 64-bit, 1.8GHz Octa-Core Snapdragon 652 . Storage 32GB/64GB Internal, 128GB expandable card on microSD . 32GB/64GB Internal (eMMC 5.1) storage,128GB expandable card on microSD. 32GB Internal eMMC 5.1), No expandable card on microSD . OS Android 6.0.1 (Marshmallow) Android 6.0 (Marshmallow) with EMUI 4.1. Android OS, v6.0.1 (Marshmallow). Battery Li-Ion 5100mAh built-in battery with 24 W Rapid fast charging Non-removable 3340mAh battery with support for fast charging. Li-Ion 4060 mAh battery with Quick Charge 2.0. Connectivity 4G VoLTE, WiFi 802.11 b/g/n, Bluetooth 4.1 LE, NFC,USB OTG. 4G VoLTE, WiFi 802.11 b/g/n, Bluetooth 4.1, GPS,OTG Support. 4G VoLTE, WiFi 802.11 ac (2.4/5 GHz),Bluetooth 4.1, GPS, OTG,USB Type C.